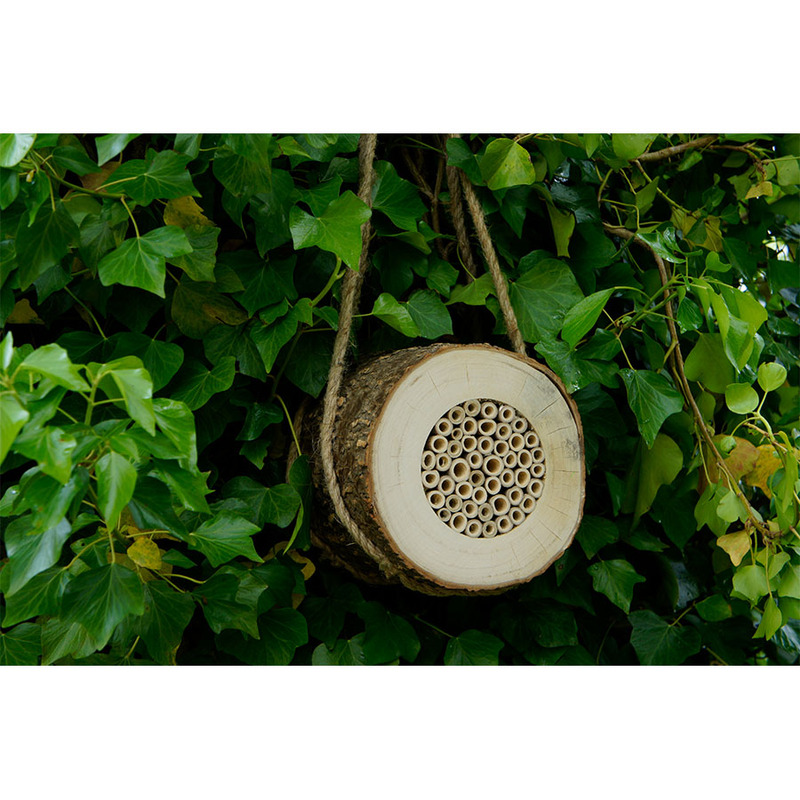 The ‘Conservation Solitary Bee hive’ is one of a range of new products designed not only for function, but to present a marriage of high quality, solid, robust construction with attractive styling. 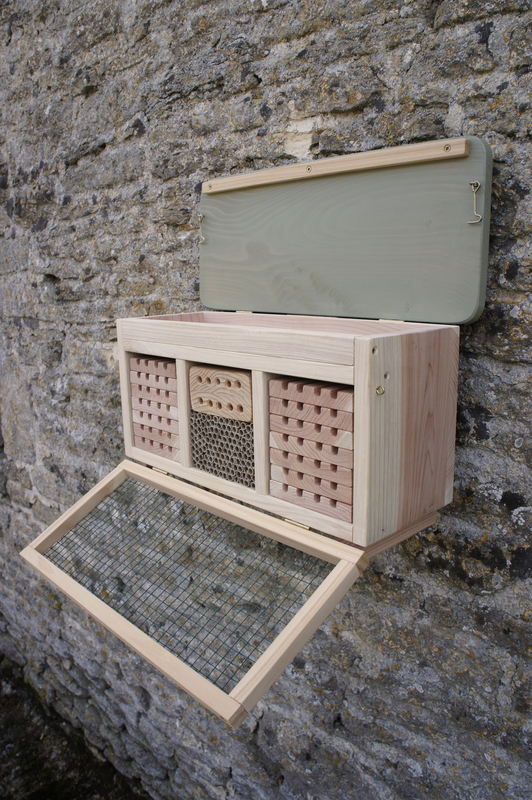 This high specification solitary beehive is particularly aimed at conservation professionals, orchard and fruit growers and pro-landscapers. 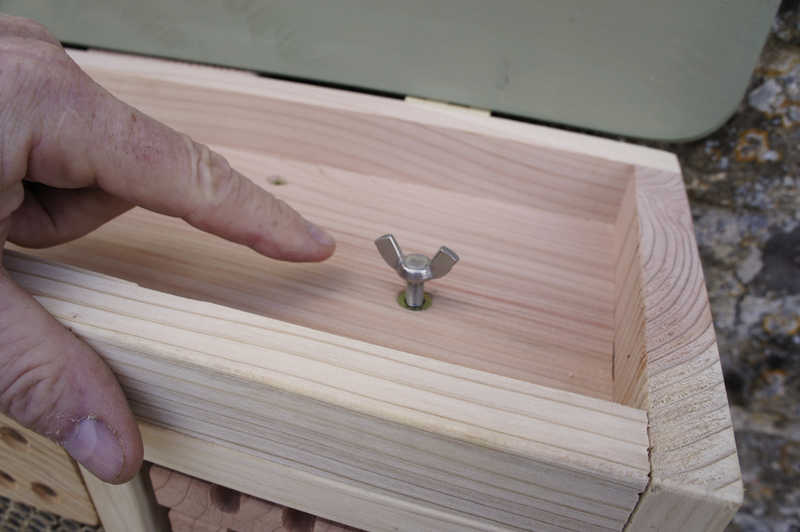 This professional solitary beehive is made from solid FSC timber with screwed construction technique and provides ideal space for up to 1000 bee cells. 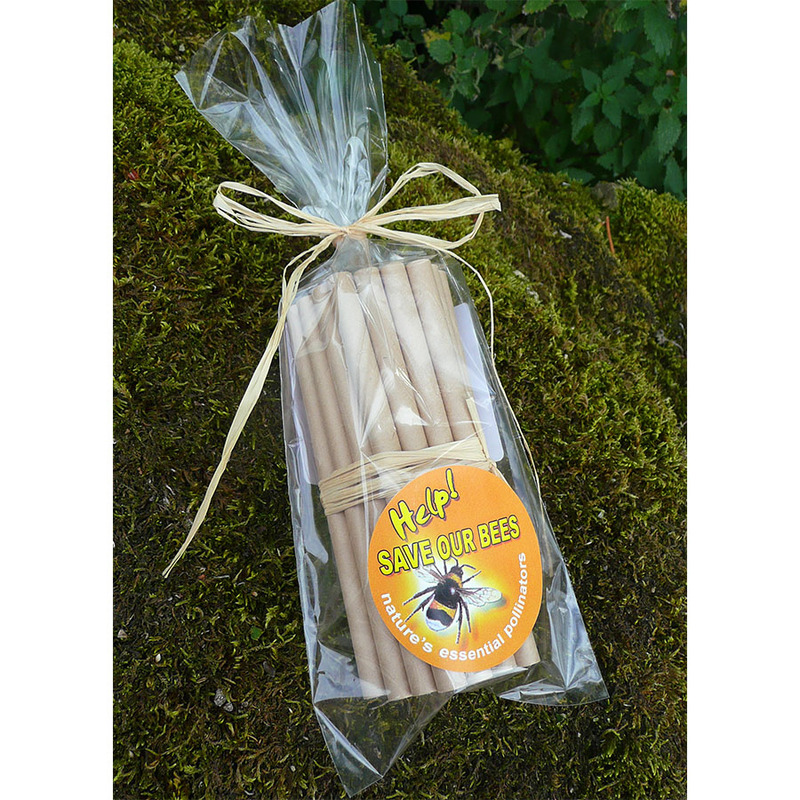 Three different solitary bee nesting systems are incorporated into one. 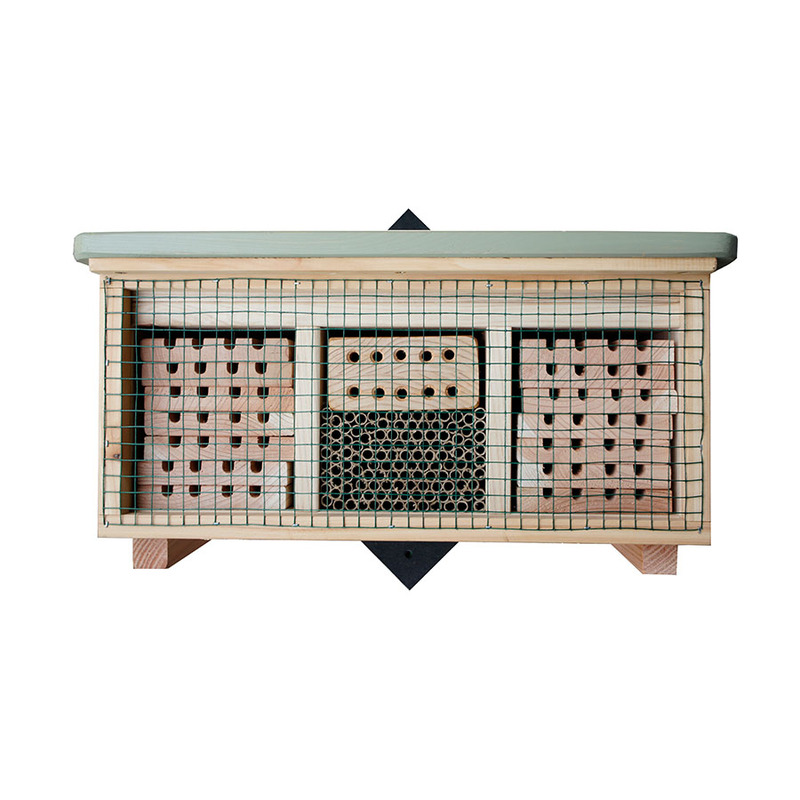 On either side of the solitary beehive are professional stackable beehive trays. 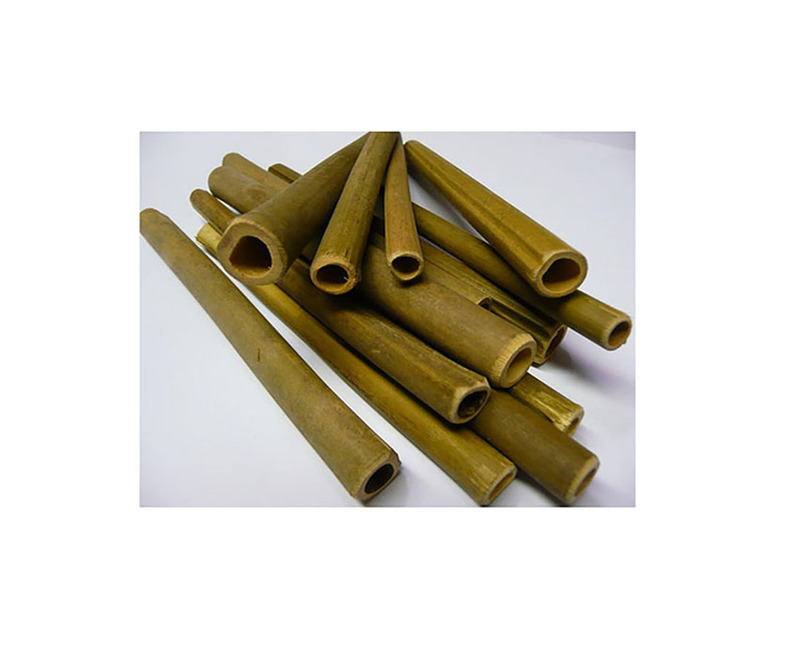 These are secured using retractable threaded screws accessed via the lifting lid. The stackable trays allow larvae inspection for the purpose of monitoring and parasite control. 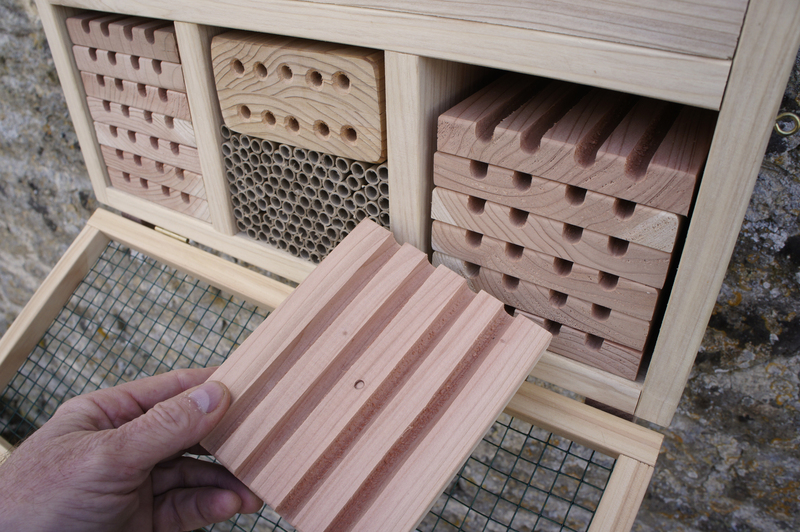 The second precision drilled solid block provides maximum insulation for the overwintering larvae of the solitary bees. 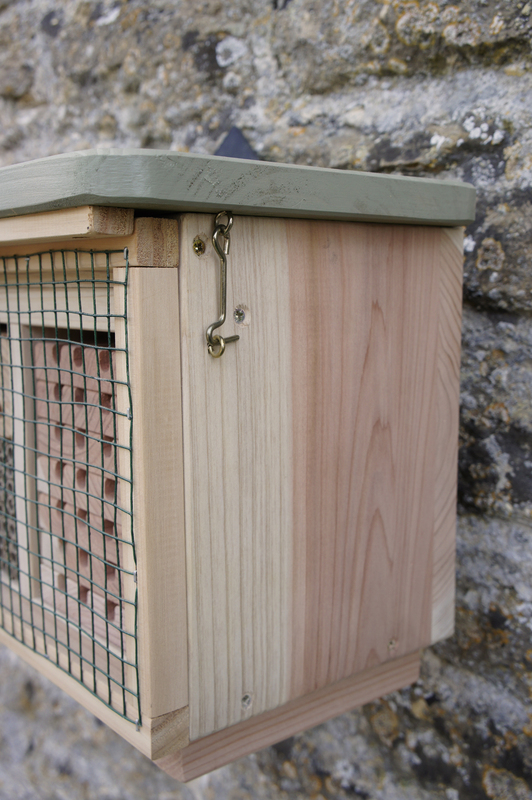 The hinged woodpecker guard on the front of the beehive puts the solitary bee larvae out of reach of these greedy birds.